Whether you are pursuing a career in Medical Transcription or planning to get into the Virtual Assistant business, the fast and accurate typing is a “must have” skill. Do you want to be among the fast typers too? 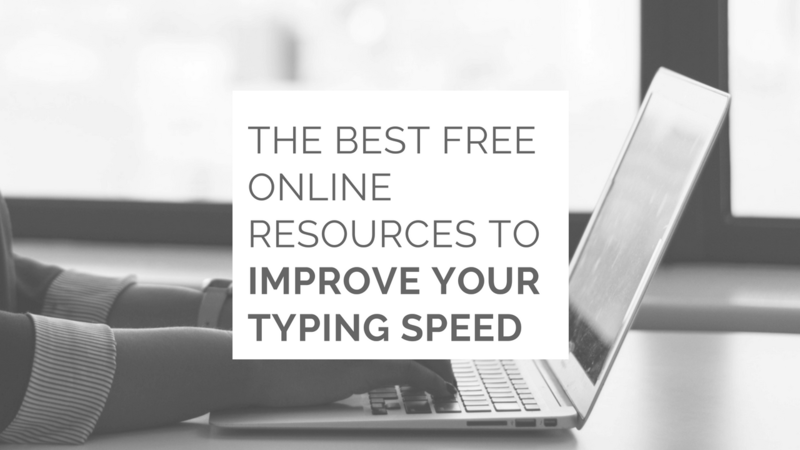 Then check out this list of the best free online resources to increase your typing speed. Most of us have a number of bad keyboarding habits that prevent us from typing fast. Breaking them is not easy, but necessary to improve your WPM speed. If you want to unlearn these destructive habits and replace them with proper typing techniques, Typing Web is a great resource to start with. With Typing Web’s comprehensive online tutorials you will learn how to position your hands on the keyboard properly, how to use the keyboard schemes and how to type fast without looking at the keyboard. What Typing Web’ user also love about this resource is News Headline Exercises. With these fun activities, you get to work on your typing skills while learning some top news from Google at the same time. One more great resource to learn the touch typing with is Sense-Lang. Sense-Lang is a free online resource that helps you to learn and master the touch typing. By learning how to type without removing your eyes from the screen, you will see the major speed increase. And this is exactly what the program teaches you to do. Another skill that you will master with Sense-Lang’s interactive tutorials is typing accuracy. Very often experienced typists might find themselves continually misspelling certain letter combinations and words. With Sense-Lang’s custom text exercises, you can work specifically on these combinations. These exercises will help you to retrain your muscle memory and to improve the accuracy. Whether you are an experienced fast typer or a keyboard rookie, you can undoubtedly benefit from the Sense-Lang online tutorials and exercises. If you are a competitive typer, Typeracer is the go-to online typing resource for you. The Typeracer lets you race against other players by typing quotes from books, songs and movies. To move your miniature racing car ahead, you have to type a 20-100 words passages. The first one to finish wins. At the end of the round, you will be able to see how fast and how accurate you were. Since thousands of people around the globe use Typeracer daily, you will have no problem finding yourself a competition. However, if you want to have a one-on-one typing battle against your friends, you can create a private game too. We hope you enjoyed this list of the best free online resources to increase your typing speed. Are there any other fun typing games that we have missed? Let us know in the comments down below!